Microsoft may still be hard at work getting the Windows 10 Creators Update ready for release in the coming months, but the company is also working on things that will be released much further into the future. Project NEON has been floating around for a little while now, and MSPoweruser has today shared more information, as well as screenshots, of just what we can expect. 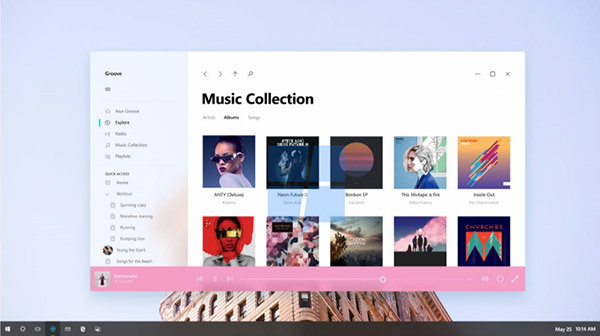 Far from an overhaul of how Windows 10 will look, Project NEON makes some important design tweaks to the user interface built atop Windows, but wholesale changes should not be anticipated. From the leaked screenshots, it looks clear that Microsoft is attempting to create a more unified, more consistent design language for the Windows platform whilst also bringing back some of the Aero aesthetics that served the company so well. Blur effects are the order of the day here, which was something Microsoft made a big deal of, first with Windows Vista and then with Windows 7. Microsoft is introducing a new component called “Acrylic” to the Windows 10 design, which is essentially blur in the background, sidebar or the navigation of the app. These are known as “Side-Nav Acrylic”, “Background Acrylic” and “In-App Acrylic” respectively. 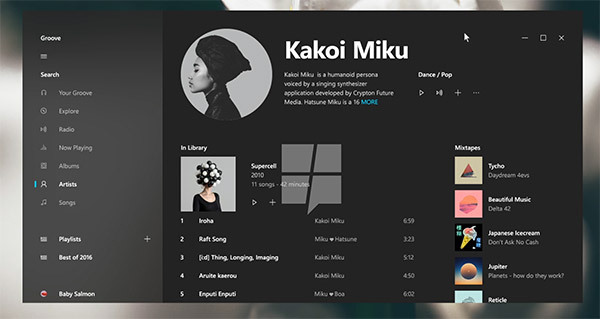 Microsoft is tying the acrylic metaphor into its third party apps ready for Project NEON to come to fruition, with associated Connected Animations such as images that resize based on location within a scrolling page of content already implemented in Windows Insider builds of the operating system. There is little information on when Project NEON will be baked into a finished version of Windows 10, but with the Creators Update development drawing to a close, the possibility of Microsoft building its new design language into Windows later this year is not a remote one. That said, it’s still relatively early days for Project NEON, so we expect aspects of the user interface to change yet further before anything reaches the public. That’s exactly what I was thinking as well! I haven’t seen it in action on a Mac, I can imagine how powerful of a tool this can be to visually guide users around applications and such. Now I wonder if the blur or acrylic can be disabled, and if disabling the feature would provide any sort of performance increase, like Aero in Windows 7. Between this, the rumored “gaming mode”, and the native blue light filter (flu.x built into Windows 10), Microsoft is really starting to win me over with Windows 10! All I can think of now that would make Windows 10 perfect for me is making DirectX 12 better (not sure if that’s on Microsoft or game developers, honestly…), making UWP and Windows Store a more useful and better experience (cross-play online gaming? What a time to live in! ), and making Windows 10’s privacy options a little more clear and simpler to toggle on/off. I have 10.12 on my second monitor right now sitting right beside these images. They look nothing alike.